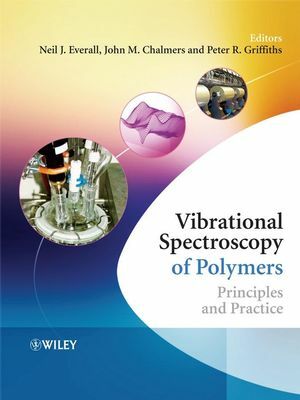 In this book, measurements using vibrational spectroscopy techniques for both the chemical and physical characteristics of polymers are described, alongside chapters covering spectra-structure correlations and spectra calculation. Special chapters deal with composites and conducting polymers, while others discuss the role of vibrational spectroscopy in understanding polymer weathering and degradation, and determining the optical, dielectric and solar and thermal properties of polymers. Dichroism measurement methods, important in understanding product performance, are covered, as well as practical methods for determining molecular orientation; linear, biaxial and trichroic determinations for polymers, as are dynamic measurement systems. Neil Everall (ICI Technology, UK) is well-known as an excellent polymer Raman spectroscopist. He has developed and adapted new Raman techniques, especially for industrial polymer characterization and process monitoring. John Chalmers (VS Consulting, UK) is one of the leading IR spectroscopists in the field of polymers. He has extensive experience in the applications of the different techniques to solve scientific as well as industrial problems. He has been the organizer of many conferences and courses on vibrational spectroscopy (sometimes in collaboration with N. Everall), and has written articles and reviews about this topic. Peter Griffiths (University of Idaho, USA) is a world-famous expert in the field of Fourier Transform Spectroscopy (IR and Raman), not only on polymers. He has developed a lot of instruments and special techniques (including hyphenated/coupled methods) as well as theoretical principles. In addition, he speaks regularly at conferences and courses, and has written many articles, reviews and books. Qualitative and Quantitative Analysis of Plastics, Polymers and Rubbers by Vibrational Spectroscopy (John M. Chalmers and Neil J. Everall). Spectra-Structure Correlations: Polymer Spectra (John M. Chalmers). Measurements of the Chemical Characteristics of Polymers and Rubbers by Vibrational Spectroscopy (F. James Boerio and S. Wirasate). Measurement of the Physical Characteristics of Polymers by Vibrational Spectroscopy (Kohji Tashiro). Depth Profiling of Polymers by Vibrational Spectroscopy (Peter M. Fredericks). Measurement of the Thermal and Solar Properties of Polymers by Vibrational Spectroscopy (M. Papini-Arconada and F. Papini). 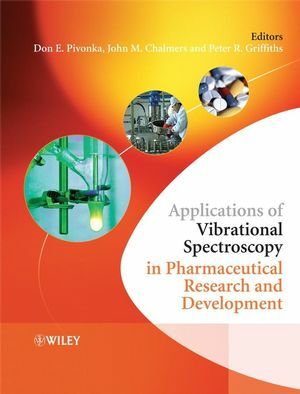 Polymer Optical and Dielectric Properties through Vibrational Spectroscopy (D.M. Smith and A.R. Chughtai). Infrared Linear Dichroism of Polymers (Thierry Buffeteau and Michel Pézolet). Basic of Orientation Measurement in Infrared and Raman Spectroscopy (Richard Ikeda, Bruce Chase and Neil J. Everall). 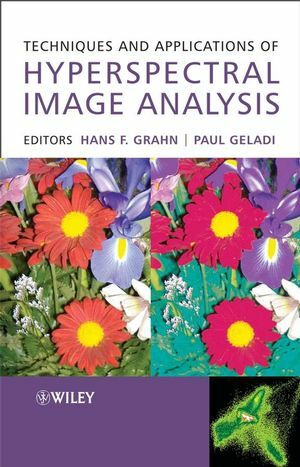 Trichroic Infrared Measurements of Orientation (Jack L. Koenig). Variable-Temperature Rheo-Optical Fourier Transform Infrared Spectroscopy of Polymers (H.W. Siesler, G.G. Hoffmann, O. Kolomiets, F. Pfeifer and M. Zahedi). Dynamic Infrared Linear Dichroism of Polymers (Peter R. Griffiths and Georgia A. Arbuckle-Keil). Vibrational Spectroscopy of Polymer Composites (Kenneth C. Cole). Application of Vibrational Spectroscopy for the Analysis of Rubber Composites (Liliane Bokobza). Theory of Vibrational Spectroscopy of Polymers (Chiara Castiglioni). Vibrational Spectroscopy of Conducting Polymers: Theory and Perspective (Giuseppe Zerbi). Vibrational Spectroscopy of Conducting Polymers: Fundamentals and Applications (Yukio Furukawa).